A high-quality protective cover is supplied as standard with your Harvest Reflect cushion, but, after long-term and frequent use, a spare or replacement may be necessary to get the most out of your product. 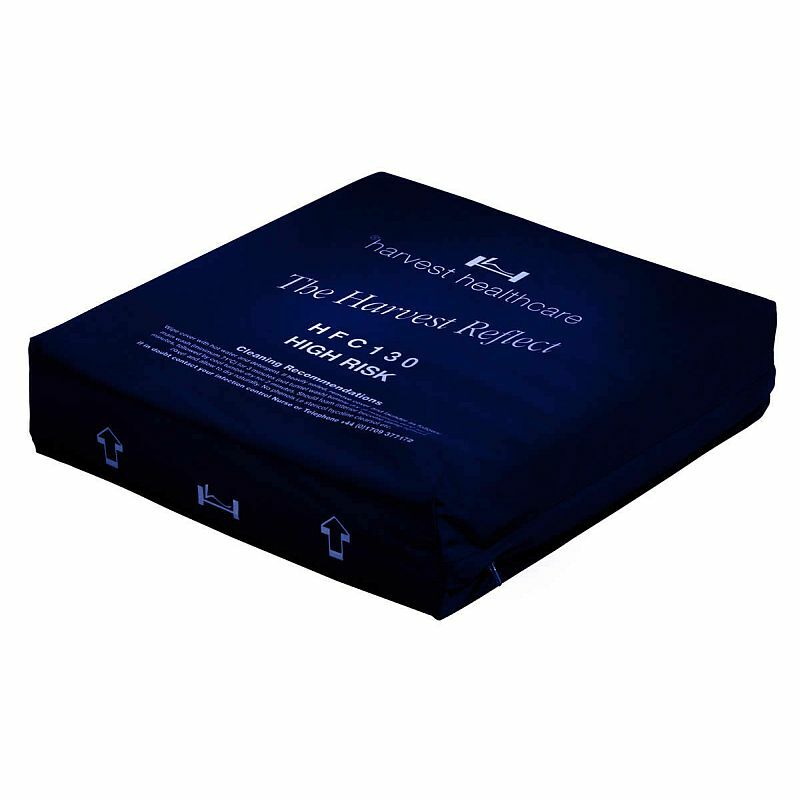 The Cover for the Harvest Reflect Pressure Relief Cushion is a protective cover for the Harvest Reflect Pressure Relief Cushion, designed to provide both protection and ease of use to the user and carer. Foam cushions can provide excellent levels of comfort and pressure relief, but if not properly protected it can lose their shape and efficacy over time. This cover is made with a specially designed two-way stretch vapour permeable material, designed to protect the cushion while allowing it to breathe. The waterproof properties of the cover protect the cushion from spills and fluids while still allowing the cushion to breathe and retain its bounce-back and shape. The cover is ideal as a spare or replacement for the cover included with the Harvest Reflect Pressure Relief Cushion. This will ensure that you can continue to protect the cushion for further use. Please note: This product includes only a Harvest Reflect cushion cover, and does not include the Harvest Reflex Pressure Relief Cushion.